The latest XNPH05Q OTA update is now available for the Micromax Yureka Android smartphone, If you are the Yu Yureka phone user and running on the Cyanogen OS version 11.0-XNPH52O, then you can apply this update on your phone and install the latest update. The update comes with new features and improvement and security fixes. 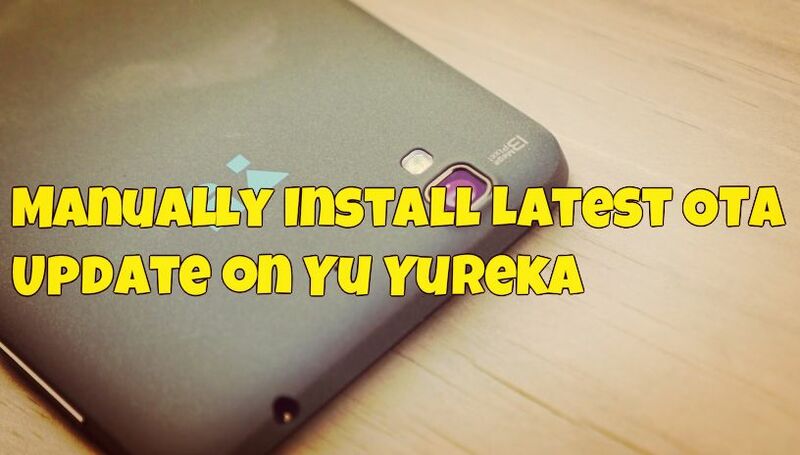 Some Yureka users have already got this new update through the OTA update while others are still waiting. If you are still on the waiting list and want to update your device manually, here is the complete guide which you can follow on your phone and update the same. To apply this update, your device must be running an unrooted Stock ROM and Stock recovery. This process should not effect the data on your device. All you need a update zip file and flash it with the help of the Stock Recovery. Note: Applicable only when updating from XNPH52O to XNPH05Q. Step 1. Make sure that your phone is running on the XNPH52O version and non rooted. Step 2. Download XNPH05Q Incremental OTA update from here and save it on your desktop. Step 3. Now move the Download update file on your phone internal storage ‘download’ folder. Step 4. Switch off you phone, and boot in stock recovery mode. To do this, press Volume Up + Volume Down and Power button simultaneously. Step 5. From the recovery main menu, select the ‘wipe cache partition’ by tapping on it. Then go to ‘Apply update’ > ‘choose from internal storage’ > /0 > Download > and select “cm-tomato-efbb5514a1-to-9828f8e9cc-signed.zip” file. Step 6. Now the flashing process will start on your phone and this will take some time. Step 7. Once installed, select ‘Reboot system now’. That’s it! Now you Yu Yureka phone is running on the latest OTA update. What about rooted phones?installation of ota update through philz recovery throws error.Any help regarding this.Do I have to uproot and change to default recovery to install the update?Then Will I loose all the phone memory data by doing this?